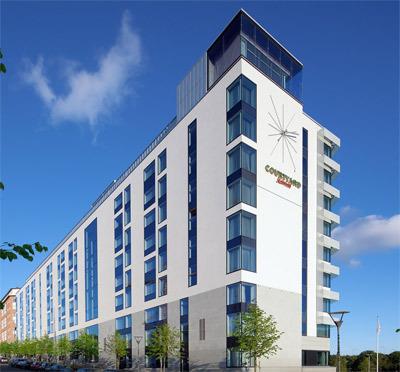 The Renaissance Malmö Hotel is a recent five-star hotel offering 128 bedrooms and 3 top-modern meeting facilities. The spacious and stunning rooms are among the largest in the city (25 sq. metres) and include internet connection and full access to the hotel gym. The hotel, situated at Lilla Torg, benefits from a central location with Malmö Central Station in the near proximity. A convenient choice of accommodation if you are in town, in the shops or enjoying the many local attractions of Malmö. The communications from Malmö Sturup airport or Kastrup Airport are uncomplicated and easily used. Rosen Bar & Dining inside the hotel invites to a relaxing setting where culinary experiences are based on well-prepared food with fresh ingredients and a touch of the Spanish cuisine. With regards to meetings and events, Renaissance Hotel is equipped with 3 well-appointed meeting rooms consisting of one 50 sq. metres room and two smaller ones spacing 20 sq. metres. Most of the famous attractions of Malmö, such as Malmö museum and Turning Torso, are easily accessed from the hotel and for a quiet picnic, we recommend Ribban with a lovely view, nature and the roaring ocean. 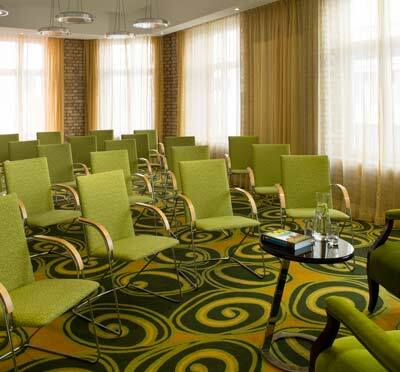 Have you been to Elite Hotel Esplanade (fd Elite Hotel Adlon) and want to give your own comments?